This fall, we are offering a NEW CHOIR for high school students! 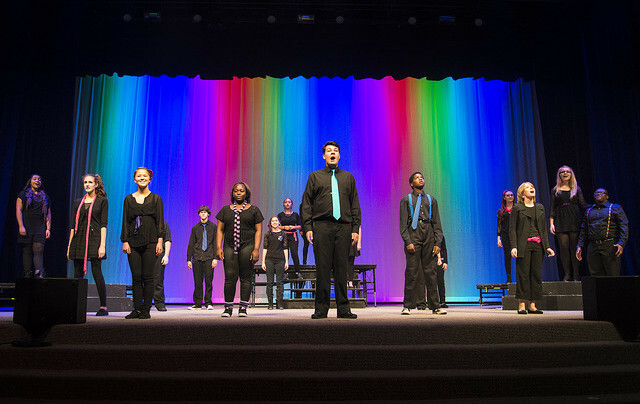 Directed by Dr. Jeffrey Redding, this choir is for high school age students who love to sing and want to be in a program that focuses entirely on vocal performance. This is a Non-Auditioned program and rehearsals will be held on Tuesdays nights starting in September. The choir will perform repertoire from a variety of genres including classical, Broadway musicals, and popular music. All rehearsals will be held on Tuesday evenings, 6 – 7:30 p.m.
Concert Date – Tuesday, November 28 – 7 p.m.
For returning families – email youth@cfcarts.com to let us know that your student will be joining the High School Choir this season, and complete registration by paying season dues. Ready to Register for this Program? Are you ready to register or would you like more information on other programs, click here to go back to the Youth Page! You can fill out an Interest form or pay your season dues on the tabs at the bottom of the Youth Page!